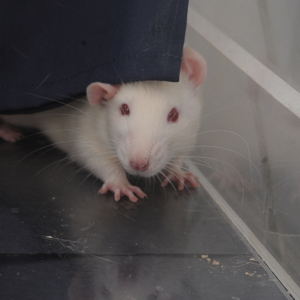 Embodying affect for emotional release – The brain is sooooo cool! 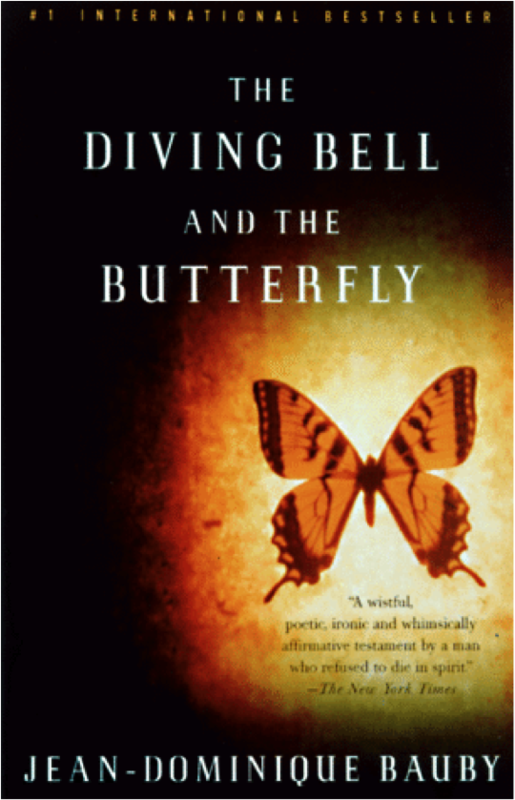 The Diving Bell and the Butterfly: A Memoir of Life in Death by Jean=Dominque Bauby (Vintage, 1998). When I first heard the story of Jean-Dominique Bauby, I was instantly captivated. An accomplished and cosmopolitan editor of a French fashion magazine struck down by a pontine stroke blinks out a memoir which is published only 2 days before his death. I was struck by the dichotomy of Bauby’s profound loss accompanied in the most unlikely fashion by unparalleled heights of artistry and humanity. The loss – virtually no volitional movement – is obvious and stark. The feats and accomplishments of locked-in patients are nothing less than Herculean given the challenges. 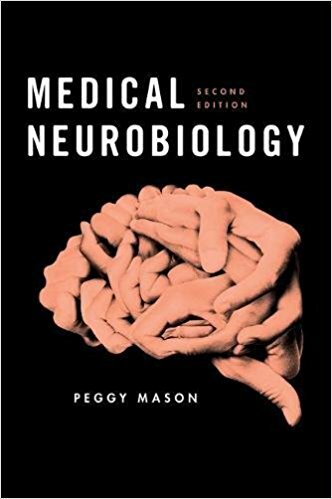 As Bauby’s story demonstrates both the vulnerability and the promise of the nervous system, I chose to open my textbook on Medical Neurobiology with its re-telling. Even as I marveled at Bauby’s resiliency, I found the outlines of his story more moving than the memoir itself, entitled The Diving Bell and the Butterfly in Rnglish and Le Scaphandre et le Papillon in French. There are three fairly trivial reasons that may explain my perception of a flattened affect in the memoir. First, I have only read (and re-read) Bauby’s book in the English translation and so may have missed subtleties of language. Second, I am not trained nor particularly talented at critiquing literary writing and may have just missed nuances of emotion. Third, I am certain that I fleshed out the emotion of the story using an active imagination. Just as Hitchcock used a paucity of information and visuals to encourage the very able imagination of the viewer, my imagination flooded in to fill the affective vacuum of the factual story. The detailed reality of a narrative has a hard time competing with imagination. 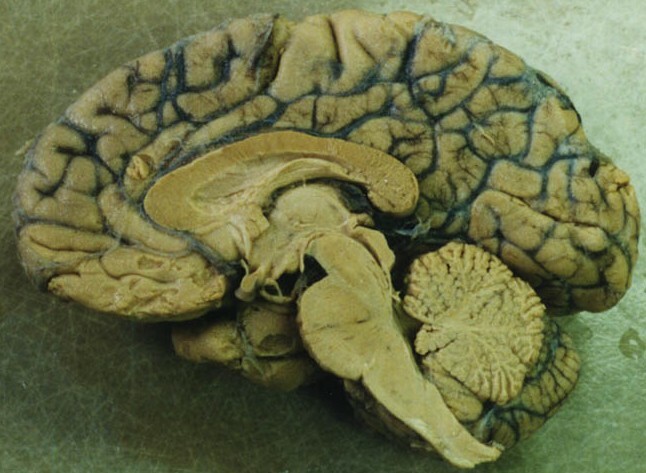 I speculated in my massively open online course, Understanding the Brain, that Bauby’s book appeared to reflect a relatively flattened affect and that this may have resulted from the failure of his body to embody emotion. Here is what I mean by that. Imagine that you feel sad but cannot sob or that you feel rage but cannot scream. Imagine that you cannot feel your body at all. You cannot feel your heart pounding any more than you can feel sublime calm in your body. Maybe emotions that occur without an accompanying appropriate feeling in the body are not as strong as they would be in a healthy person. Knowing that I was out of my expertise, I asked that any interested person with abilities in French literary criticism perform an analysis of Le Scaphandre et le Papillon. Low and behold, I received a wonderful email from Myriam White-Le Goff, a maître de conférence (Lecturer) in medieval literature at a University in France. She offered to read Bauby’s book and analyze how Bauby expressed emotions. Ms White-Le Goff wrote back with an enlightening analysis of Bauby’s affect as portrayed in his book. Below is a full quote of her analysis. Approximate translations of the French are below each paragraph; translations were adapted by me from Google Translate. In fact, the book, is, above all, very ironical and even, sometimes, cynical about Bauby’s life after the stroke. The cynical aspect is undermined by a lot of gratitude towards the people who are around him, and a kind of tenderness and understanding towards everyone and life as it goes. He acknowledges that his feelings are not well understood and even perceived by people surrounding him: “je peux pleurer assez discrètement. On dit alors que j’ai l’oeil qui coule” (p. 84). The pronoun “on” says a distance between him and the others and a kind of alienation, very discrete. Like “people say… one says… it is said…”, not involving a real person in the process. The impression that there is not much self-pity or even self-empathy is produced by the fact that Bauby explains that, at the beginning, he wasn’t sure himself about what he was feeling. He explains this in the passage of p. 22: “Ainsi un episode domestique comme la toilette peut m’inspirer des sentiments varies. Un jour, je trouve cocasse d’être, à quarante-quatre ans, nettoyé, retourné, torché et langé comme un nourrisson. En pleine régression infantile, j’y prends même un trouble plaisir. Le lendemain, tout cela me semble le comble du pathétique, et une larme roule dans la mousse à raser qu’un aide-soignant étale sur mes joues». It is said in a very precise and rational way but it conveys the difficulty of understanding oneself while overwhelmed by strong emotions. In some way, the only solution to speak about these feelings is to disconnect with them and analyze them from a distance. Bauby even considers the situation with a kind of humor. Thus a domestic episode such as the toilet can inspire in me varied sentiments. One day I found it funny, at forty -four years old, cleaned, turned, and swaddled like an infant. Full infantile regression, I even take pleasure in this disorder. The next day, all this seems to me the height of pathos, and a tear rolls into the shaving foam that a caregiver spread on my cheeks. Bauby explicitly explains that he chose not to express the harshness of his feelings quite at the beginning of his book (p. 23, when he explains that he could express grief but that he prefers to concentrate on the continuing of life). It appears like a very conscious choice. This choice is very clear when he says that he feels a very strong emotion (“euphorie”, that can be felt either, when deeply happy or in a kind of absolute despair) and prefers to treat it all like a huge joke: “une étrange euphorie m’a alors envahi. Non seulement j’étais exile, paralysé, muet, à moitié sourd, privé de tous les plaisirs et réduit à une existence de méduse, mais en plus j’étais affreux à voir. J’ai été pris du fou rire nerveux que finit par provoquer une accumulation de catastrophes lorsque, après un dernier coup du sort, on décide de le traiter comme une plaisanterie » (p. 31). The rhythm of the sentences rises towards a sort of climax and produces a deceptive effect. Once more, Bauby suggests he was overwhelmed by his feelings and had to treat them as “external” to be able to write about his life. He explains that he gets very upset and agitated while trying to communicate with other people and not being able to (p. 47: “ils me bouleversent”). He expresses the need to feel profound emotions in order to remain alive: “Autant que de respire, j’ai besoin d’être ému, d’aimer et d’admirer. La letter d’un ami, un tableau de Balthus sur une carte postale, une page de Saint-Simon donnent un sens aux heures qui passent. Mais, pour rester sur le qui-vive et ne pas sombrer dans une résignation tiède, je garde une dose de fureur, de détestation, ni trop ni trop peu, comme la cocotte-minute a sa soupape de sécurité pour ne pas exploser » (p. 61). He finds comfort in beauty and meaningful emotions but also explains that he feels like on the verge of explosion sometimes, like overcome by rage. He often expresses his feeling in comparison with a wave, something that invades him quite suddenly: “une onde de chagrin m’a envahi. […] Tout d’un coup, j’en crève” (p. 77, when he wants to hold his child). His vocabulary them becomes more harsh or vulgar. Sometimes, he chooses silence or he leaves the end of a chapter open so that his reader can understand by himself the depth of his despair, like in the story of the picture sent to the hospital by his father, when the chapter just ends by “De son écriture charpentée et régulière, papa a simplement note : Berck-sur-Mer, avril 1963” (p. 51). It may seem very factual but it is indeed ironical as the picture seems premonitory, like a doom or the expression of some kind of fate. Ms White-Le Goff’s elegant critique of Bauby’s wrting tells us that rather than not feeling full emotions, Bauby feels more emotion than his imprisoned body can tolerate. His diving bell existence places him perpetually in the realm of feeling too much. His ability to express himself does not match the depth of his feelings. This inability is so overwhelming that Bauby is forced to distance himself from his emotions. Thus, Bauby’s emotions are deeply felt but simultaneously battled against. When he is successful at keeping the emotions at bay, he can even express humor in quite a detached way. I think that the take home message here is that embodying emotion not only facilitates our feelings but dissipates them. Without the safety valve of bodily expression, affect overwhelms. My sense is that both facilitation and dissipation of emotion by our bodies are critical to a rich life. Anyone feeling sorry for themselves should read this..thank you once again. I agree that Bauby had it rough. I also think that he showed great compassion for others’ troubles, for example, for the long drives that his loved ones had to make to visit him. I have long felt that we all need to show compassion to others and to ourselves for our travails, minor and major alike. Ranking challenges is not fruitful. The biggest challenge is the one that an individual faces at any one moment in time. So, yes, have compassion for Bauby and, yes, many of us are fortunate to not face being locked-in, but remember to give yourself (and others) some slack as we face our daily concerns that represent bumps in the road, albeit not ones as daunting as locked=in syndrome. I can’t thank you enough Peggy, for introducing us to this book and for the MOOC and your fantastic teaching, it’s been an absolute revelation and inspiration to me who didn’t do so well at school and who is now, after 45 years, making up for a poor learning experience – I recently retired, so it’s not actually going to give me a whole new career or anything like that but my brain craves all the information it can get … thank you so much, you have opened a whole new world to me. Thats as great a payoff as this teacher could hope for. Thanks so much for writing. When I first heard of Bauby was in the initial Mooc and I was reminded of a book I read many years ago called “Johnny got his Gun’ which was an anti-war story but concerned a soldier named Jon Bonham who lost his arms, legs, and all of his face (including his eyes, ears, teeth, and tongue), but that his mind functions perfectly, leaving him a prisoner in his own body. And how he “attempts suicide by suffocation, but finds that he had been given a tracheotomy which he can neither remove nor control.”. I think your insight of “My sense is that both facilitation and dissipation of emotion by our bodies are critical to a rich life.” is correct and seems that it might be the basis of the theory behind ‘primal therapy’. As someone who believes in the sovereignty of the individual -and I can’t think of a national government or other institutions that ascribe wholly to that perspective- I concur that a ‘right to die’ is one’s individual ‘right’. But that’s not what the book was about and I don’t remember that being a request of Bauby’s either. Hope that clarifies. know if these folks want to live in this condition..I certainly would not. Reading this piece inspired me to add to what you’ve only insinuated: how important bodily expression (or motor activity, more generally) is to helping us ’empty’ our emotions (electrochemical energy) into the physical body. The work of many interesting scientists has explored motor actions as the organizing schema of human affect. Beginning in the first months of life, the infant learns to coordinate motor actions with sensory stimuli, such as touch, facial cues, and vocal tones. Whatever affect these stimuli possess activate the infants body – its face, its voice, and most of all, its legs and arms. The feelings of vitality – excitement or distress – are expressed at the very beginning of our lives through motor actions. Losing this capacity for expression, either leads to the dulling of affects, or an intense, but futile battle with a need for expression. Agreed. Explicitly add eye gaze to facial cues. And for social interactions arguably face and voice may have more import than limbs. In any case we don’t need to rank the importance of different bod parts-movements. I totally agree with you that we need to express our inside through skeletomotor actions. Let’s all get expressing!!! !